Today I’ll talk about a problem that I recently met. After an audit, it was found that a site collection was reachable by anonymous users. Some site collections are accessible to anonymous but this one should not, so my first think was to go set anonymous permissions at the site collection level. 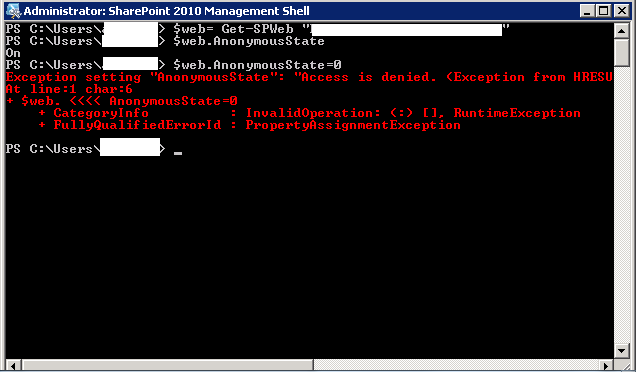 A little confused, I tried using a PowerShell command and the same error happens. After more research, I finally thought of something. This site collection is not actively used, it is used for old documents storage. Perhaps the former consultant had set it read-only! And indeed it was Read-only ! 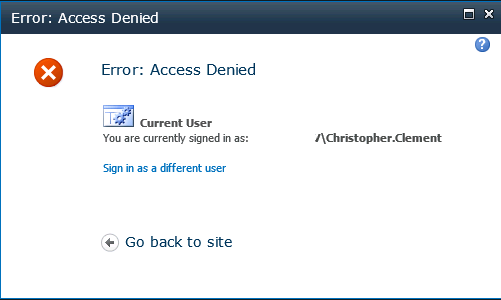 So I changed the lock statut to « not locked », did my change on anonymous section (without access denied error!) and set it back again to « Read-only ».